Fancy getting away from it all – or, at least, away from the “bright lights” of mainstream campsites? You can do it. In fact, there are literally thousands of opportunities out there across the whole of the UK – and that’s before you add in the likes of friendly pubs who might let you stop over in the corner of the car park, or landowners who are happy for you to pitch at the edge of a field. But, is there such a thing as a “free pitch”? Arguably not. After all, if you’re stopping over for the night surely it’s reasonable to at least offer to “pay your way” – whether by eating or drinking at a hostelry, buying local produce, or even a simple donation to a local charity. 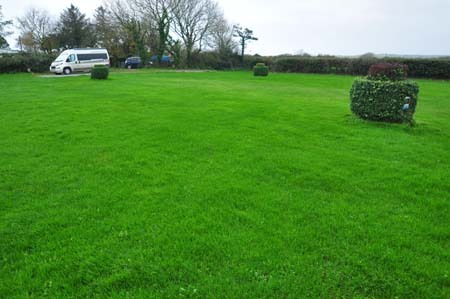 There are plenty of more formal small site offerings, of course, not least the thousands of certificated locations and sites that are authorised by the Caravan Club and Camping and Caravanning Club. It’s all very different on mainland Europe, of course, where you get stopovers provided by aires de services camping-cars and informal overnights at vineyards, courtesy of France Passion – both with vast networks across France – as well as stellplätze in Germany, and various other forms of aires across Spain, Portugal, Belgium, Luxembourg, The Netherlands and more. But, that’s a story for another occasion. However, the Motor Caravanners’ Club (dev.motorcaravanners.eu), which already offers a small network of its own certificated locations to its members, is currently campaigning for the UK to consider introducing aires to the UK. Meanwhile, our sights – indeed, sites – are set on the UK and the low-cost alternatives to mainstream campsites. If you’re in any doubt, seek permission before you park up for the night. Make a note of your surroundings before you leave your vehicle. A torch just might come in handy if you’ve left your vehicle in daylight but are returning to it after dark. Always park with your habitation door facing any light. Make yourself aware of the Countryside Code – gov.uk/government/publications/the-countryside-code/the-countryside-code as well as variations of it for Scotland, Wales and Northern Ireland. Free stopovers at more than 600 pubs, farm shops, vineyards, breweries and more that operates with the support of FARMA (National Farmers’ Retail and Markets Association) and English Wine Producers. It’s all based on information published in an annual guide that’s valid from March 1 to February 28, priced at £27.50. As operated by the Caravan Club. 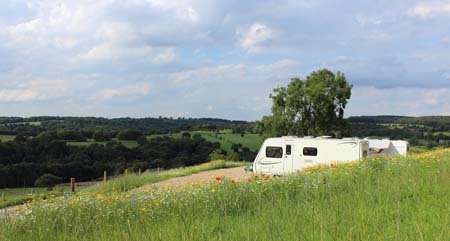 Some 2,500 small-scale campsites – often nothing more than just farmers’ fields – offering minimal facilities – and authorised to take up to five motorhome (and/or caravans) at any time. Many provide more than just the basics. 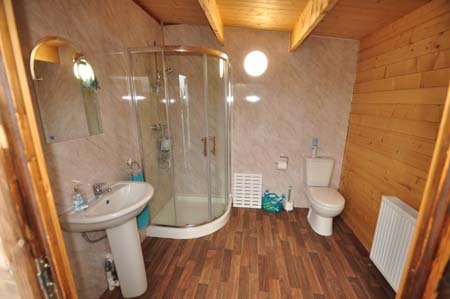 Over 900 locations provide toilet facilities, for example. Even more have some kind of hardstandings, as opposed to just grass. 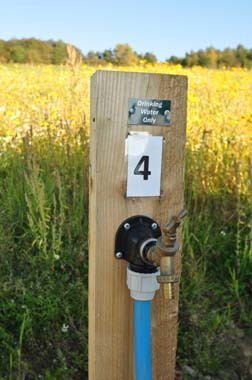 As with certificated locations, the Camping and Caravanning Club’s network of more than 1,600 certificated sites starts with a minimum offering of a fresh water supply, toilet disposal point and rubbish disposal. One key difference is a significant proportion of certificated sites also accept tents as well as a maximum of five motorhomes/caravans. And again, use of such sites is restricted to Club members only. Check out the Caravan Club and Camping and Caravanning Club websites for more information on certified locations and small sites. This is the name of a scheme overseen by the Motor Caravanners’ Club in conjunction with the monthly magazine, Practical Motorhome. 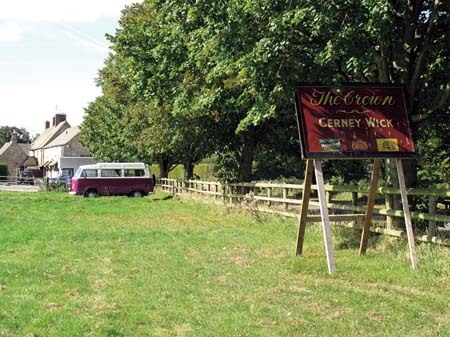 It comprises a selection of some 50 individual properties – anything ranging from pubs, to community centres, to informal camping areas – all offering overnight accommodation for motorhomers in their vehicles. You can stay for free at one of the Nightstop pubs, for example, if you buy a meal at the pub itself. Facilities vary wildly, too. Nearly all provide fresh water, whilst some extend to mains hook-ups and toilets etc. A forum of motorhome owners sharing information on wild camping, and more. We’d love to hear from you and read any tales of adventures you’ve had on any small sites, Britstops or nightstops, in the UK or abroad. Feel free to add your comments below. First of all let me state that I drive a camper-van, I can however, understand why I would not be allowed to “overnight” on a HGV area. Come on, those boys have a job to do and are only allowed to drive set hours, where as I am pursuing a leisure activity and have no legal restriction. . How long would the HGV areas be available to truckers If we were allowed access? I would guess it would not be long before you had to book the ones near London. Actually what I did in the end was to use Google Maps, look for a likely looking dead-end street near a railway station, go to street view, ‘drive’ down the road and I found a free public car park near a recreation ground and railway station. We went there and spent a couple of quiet, free nights. Isn’t Street View wonderful? That is very interesting Liz, thank you for spending time finding it! I am actually impressed that they write these things in English, not gobbledegook. I note that they continually use the word ‘caravan’ and so far as I could see there was no reference to motorhome / motor caravan / camper van nor anywhere did I see any reference to a definition of a caravan and whether ‘caravan’ also includes motor home / motor caravan / camper van. You can tell that a lot of it is written with a very close eye kept on the activities that ‘travellers’ might get up to. There was nothing there that would prevent a lorry park from taking a motorhome for a night or two. Indeed some motorhomes are HGVs specifically adapted for habitation and not carrying loads at all. I guess that if I said I had a 15 ton Scania then I would have been OK, even if the Scania had a table, chairs, bed, washroom and wardrobe in it. Good luck with your overnight stops in the future Andrew – you’re now armed with some extra information! Informative and helpful with suggestions for further research. I think I have found an anomaly in the overnighting laws. Are they laws, I am not sure? The law, or theory, is that a farmer or other land owner can have up to five caravans / and presumably motorhomes? parked on their land overnight with occupants. No more than five, so far as I know. Recently I wanted to overnight somewhere close to London centre without paying a hotel price just to park for the night. I found a truck stop where you can park your HGV articulated lorry, enjoy the lounge with TV and food machines, showers, washroom and kitchen /diner, and sleep in your cab, for £15. That was fine until I phoned to book in, and when I said I had a small motorhome they refused me. No Motorhomes, with no explanation. When I asked why they just said we don’t allow motorhomes. I suspected it must have something to do with a law about caravan parks. So it is OK to drive your 35 ton HGV in there and park with all the facilities of a camp site and pay a small fee, but it is not OK to do the same with a motorhome. I don’t understand why. Do you think this was a peculiarity of the owners of this HGV park, or is it because of an anomaly in the law that says it is OK to run a lorry parking site but not ok to run a camping site without a licence?